The spillovers in knowledge among largely college-educated workers were among the key reasons for the impressive degree of economic growth and spread of entrepreneurship in the United States during the 1990s. Prior 'industrial policies' in the 1970s and 1980s did not advance growth because these were based on outmoded large manufacturing models. 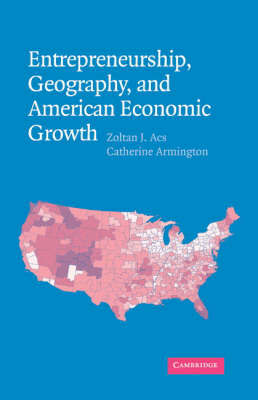 Zoltan Acs and Catherine Armington use a knowledge spillover theory of entrepreneurship to explain new firm formation rates in regional economies during the 1990s period and beyond. The fastest-growing regions are those that have the highest rates of new firm formation, and which are not dominated by large businesses. The authors of this text also find support for the thesis that knowledge spillovers move across industries and are not confined within a single industry. As a result, they suggest, regional policies to encourage and sustain growth should focus on entrepreneurship among other factors.